4. Not a ‘project’: a real band. 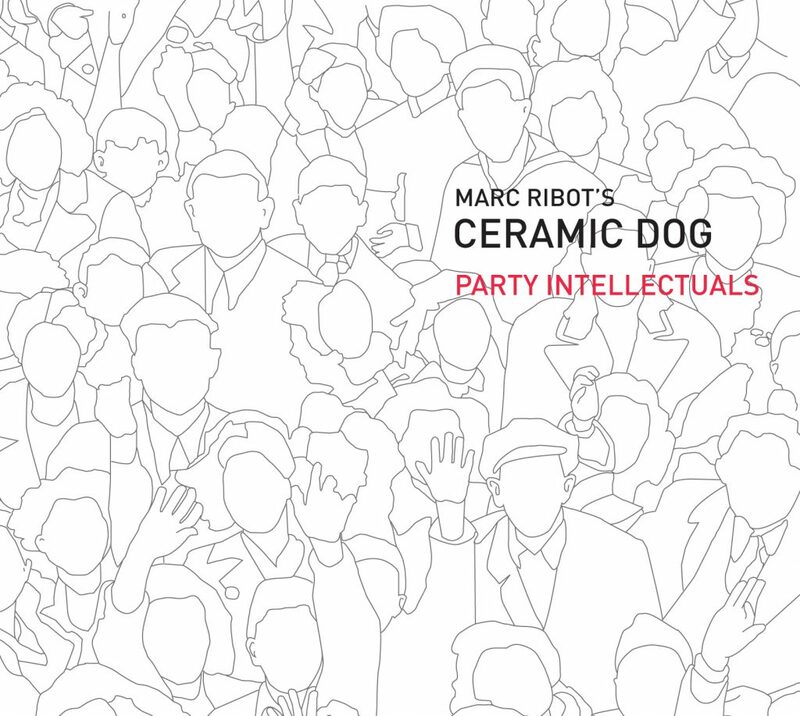 Party Intellectuals is the debut recording from Marc Ribot’s Ceramic Dog, a post-everything band combining the energies of two masters of downtown New York City mayhem: guitarist/vocalist Marc Ribot (Tom Waits, John Zorn, Robert Plant, T-Bone Burnett, Marianne Faithful, Lounge Lizards, Elvis Costello) and bassist Shahzad Ismaily (Laurie Anderson, Will Oldham, Jolie Holland, Secret Chiefs 3), with West Coast indie/experimental genius drummer Ches Smith (Xiu Xiu, Secret Chiefs 3, Trevor Dunns Trio Convulsant). Ribot is a widely recognized original on the guitar, with influence across multiple genres of music, including rock, jazz, punk, Latin, soul, 80s No-Wave, avant-garde and noise. Ceramic Dog draws all of this, along with Ismaily and Smiths indie / electronica experimentation, into the power-packed “Party Intellectuals”. The name Ceramic Dog is from the French expression chien de faence, meaning frozen with emotion like bristling dogs the moment before they fight, or lovers immobilized in one anothers gaze. Live and on Party Intellectuals, the band aims at that intensity, creating hypnotic moments of ecstasy, violence, idiocy, beauty; in other words pure Rock and Roll.